The 21-year-old Stewart arrived on loan on the last day of the summer transfer window, signing on loan until January, and went straight into the team for the following day's home game against Brighton at the expense of Ross Wallace. Wallace came back for the next game against Peterborough but three days later Stewart was back in for the defeat at Leicester. That second start has proved to be his last. He featured only as a substitute subsequently for Eddie Howe and also made two substitute appearances when Terry Pashley was in temporary charge. He's not played at all for Sean Dyche and more recently hasn't been one of the named substitutes. With Dane Richards set to sign three weeks today, Hull manager Steve Bruce is already preparing for Stewart's return. Speaking to the local media on Humberside, Bruce said: "Looking at the way things are, he's probably going to come back to us in January and we'll see where things go. It's been disappointing for all parties. He went out to play games with Burnley and that's just not happened for him. "That's been a big disappointment for him but the challenge has to be to get his head down, work hard, and turn his luck around. It's a big time coming up for him." Stewart played his part for Hull in the game that saw them lead 2-0 against us at the KC in November last year before being substituted ahead of our great recovery. He was on his way back from a cruciate ligament injury and a month later his former manager Nigel Pearson offered £1.5 million to take him to Leicester. Having remained at Hull, he had a disappointing second half in 2011/12 but got two starts at the beginning of this season under new manager Bruce. 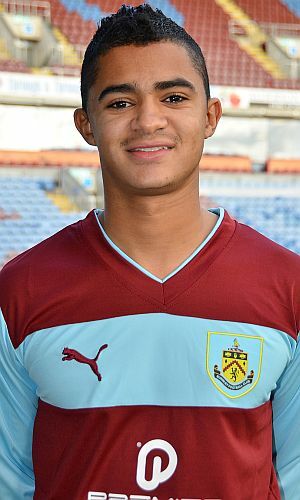 New signings, however, saw him drop down the pecking order and that led to him coming to Burnley. There are suggestions that Hull will look to secure another loan for him in January and Bruce added: "There's no doubting he's got ability but he's got to find a level where he's playing week in, week out. It shows how difficult it can be to be a footballer when you're a young lad. "Twelve months ago the club was turning down big money for him. Now he's coming back from a loan without really playing. The lad needs games. He's young and had to fight back from a very serious injury."